Back cover blurb: I had a curious sense of being watched. June 1914 and a young woman - Clara Waterfield - is summoned to a large stone house in Gloucestershire. Her task: to fill a greenhouse with exotic plants from Kew Gardens, to create a private paradise for the owner of Shadowbrook. Yet, on arrival, Clara hears rumours: something is wrong with this quiet, wisteria-covered house. Its gardens are filled with foxgloves, hydrangea and roses; it has lily-ponds, a croquet lawn - and the marvellous new glasshouse awaits her. But the house itself feels unloved. Its rooms are shuttered, or empty. The owner is mostly absent; the housekeeper and maids seem afraid. And soon, Clara understands their fear: for something - or someone - is walking through the house at night. In the height of summer, she finds herself drawn deeper into Shadowbrook's dark interior - and into the secrets that violently haunt this house. Nothing - not even the men who claim they wish to help her - is quite what it seems. 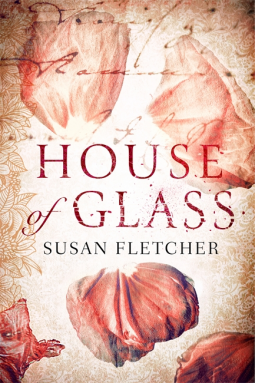 House of Glass is a beautifully written novel. It is very atmospheric and almost gothic in its storytelling. Clara Waterfield is an extraordinary young woman who has suffered much throughout her life. Yet despite her ailments and the tragedy she has suffered she is fiercely independent. She is a highly opinionated young woman, who does not suffer fools gladly. When she is finally able to leave the house and enjoy the outdoors, she begins work at Kew Gardens. It is there that she is “discovered” by the mysterious Mr. Fox who wishes Clara to move to Gloucestershire and tend his new glass house. In fact, there is something off about the whole house as far as Clara is concerned. She just doesn’t know what. Yet despite her misgivings, she decides to stay. She wants to work on the glass house, as she has found herself a purpose in life. 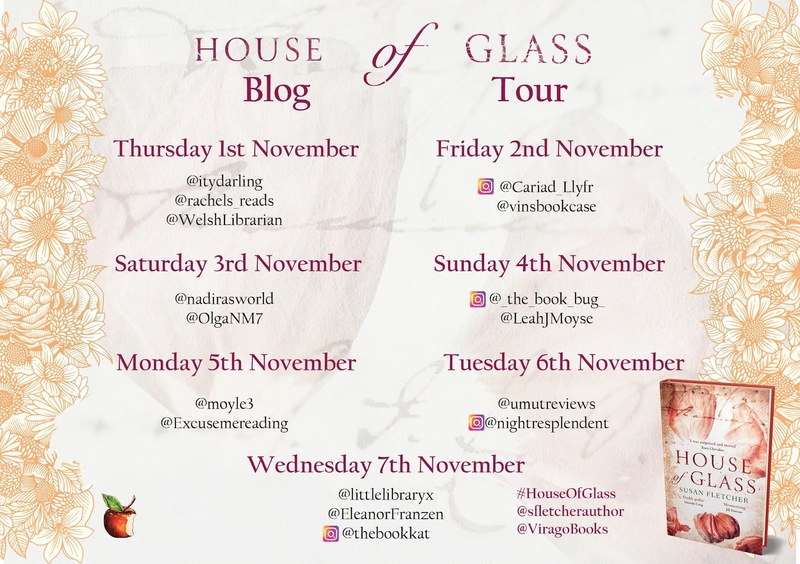 Clara doesn't believe in souls, ghouls or ghosts, she is a very practical person, but the other inhabitants of Shadowbrook house are convinced that their house is haunted, and that they know who it's haunted by. This is the perfect book for snuggling up with at this time of year, as you untie the complicated threads that the author has woven. 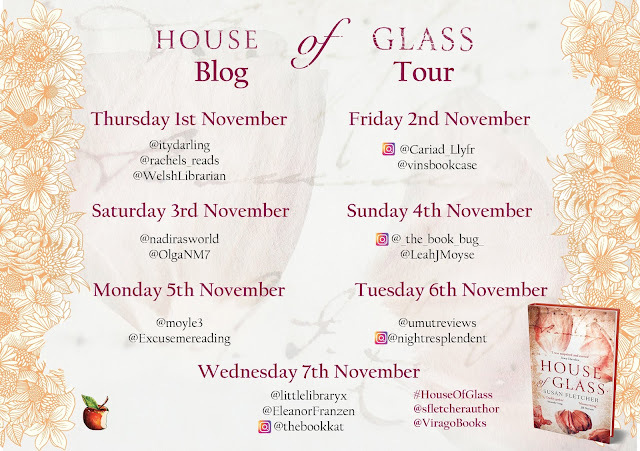 House of Glass is available now via Amazon online and all good book shops. Thank You to the publishers who invited me to view this title in exchange for an honest review.